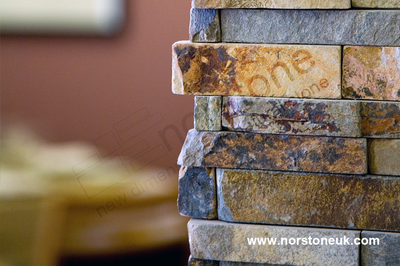 Here are some wonderful examples of how a little Norstone can go a long way. 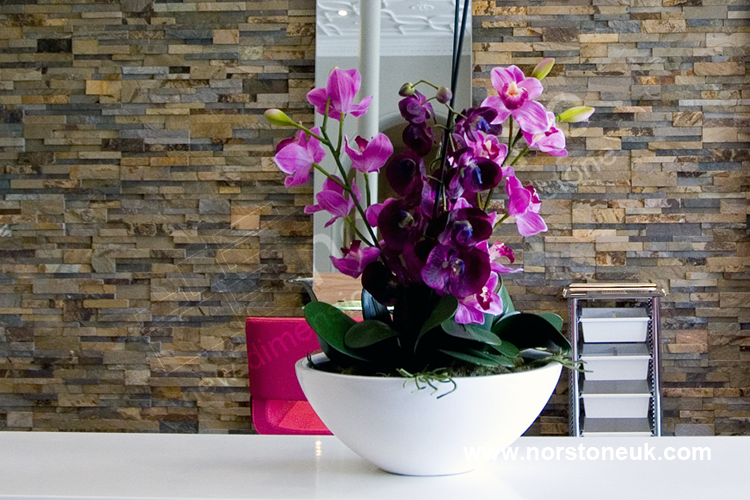 Creative use of stone cladding for feature walls can lift a room or a building and transform it into something really special for a relatively small cost. Sympathetic lighting can highlight the texture of the stone and make it a talking point. 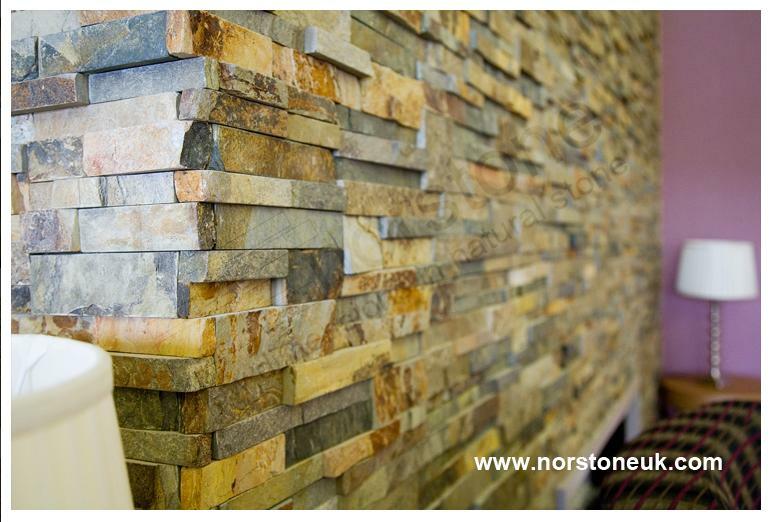 Thank you Jack and Norstone. 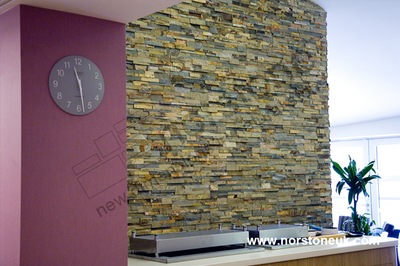 We love your stone cladding product and it looks stunning as a double height feature wall as you walk into our client's dentist reception area. Best of all you made us look good in front of our customers by supplying a superlative product as and when promised. We were very impressed with the quality of the stone cladding samples and the presentation – different types presented in a box. I was initially worried that the samples maybe a better quality than the actual product but this was not the case. 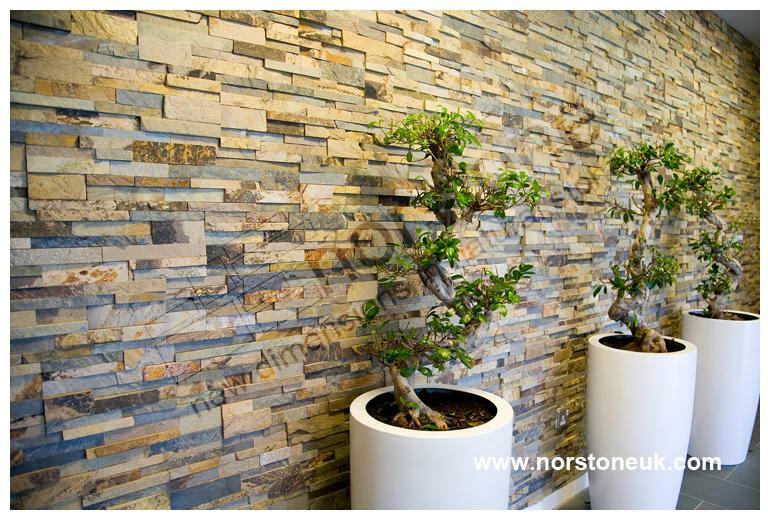 We enquired with a number of companies about both pricing and advice on how to apply the stone cladding product to the wall and found very quickly that the advice and guidance from Norstone far better than any other company. They were prepared to go that extra way even before we had made a final decision to buy the product. 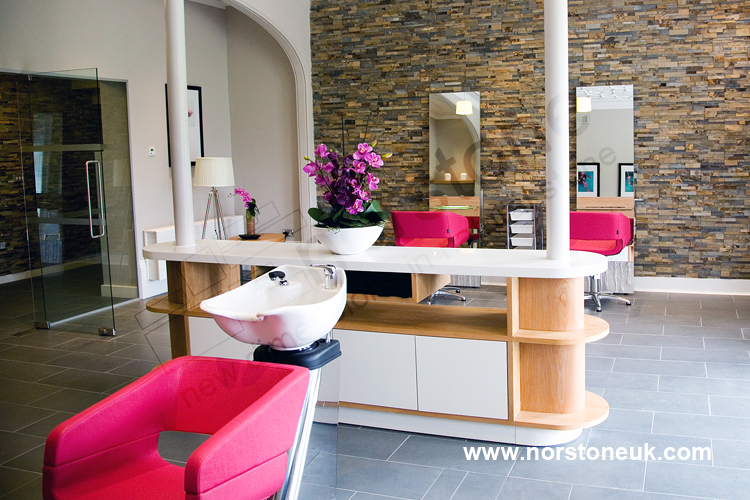 This gave us confidence to go with Norstone. We were prepared to go with a better quality product , and assurance that we were receiving the best advice and customer care than opt for something slightly cheaper and risk things going wrong. We are novices at this interior decorating stuff but with the help of Jack we have got a great feature wall which we would have shied away from if we hadn't had the support and guidance from Jack. He was just as keen as me in ensuring we got a high quality finish . 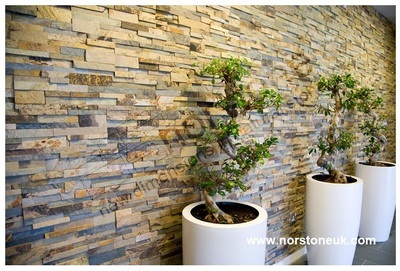 It’s a pivotal a feature of our house and we receive lots of compliments for it. We’re really pleased we choose it and thank you so much Jack for helping us get it right.